It looks like Call of Duty: WWII may not be the only Call of Duty game coming soon. The Entertainment Software Rating Board published and then removed a listing for something called Call of Duty: Black Ops III Zombie Chronicles. The rating covered PS4, Xbox One, and PC, and was spotted by CharlieIntel, where you can see the full ratings description for the unannounced game. This is not the first time we're hearing about Zombies Chronicles. 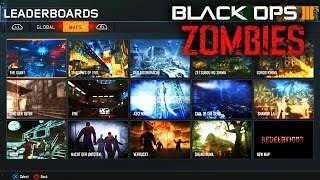 Retailers from Poland and Mexico apparently leaked the existence of the game, which is rumored to feature eight Zombies maps from past Black Ops games remastered for Black Ops III, according to CharlieIntel. Treyarch is reportedly planning some kind of announcement for May 4 at 10 AM PT, which could be Zombies Chronicles, though this is of course not confirmed. GameSpot has followed up with Activision in an attempt to get more details.